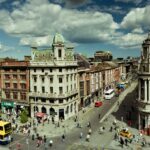 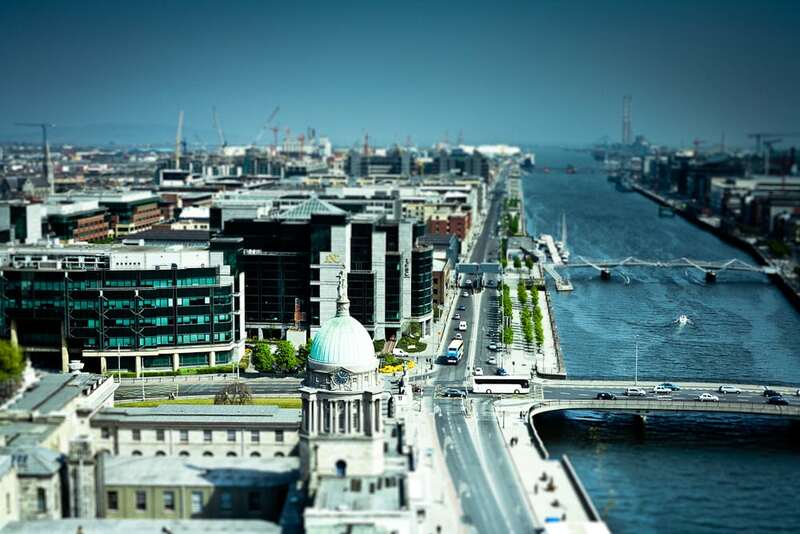 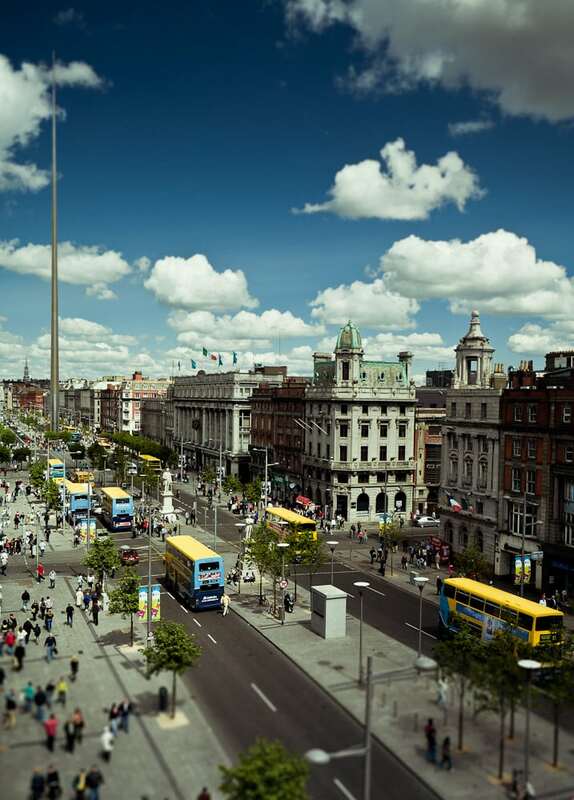 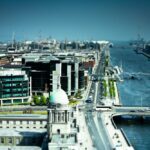 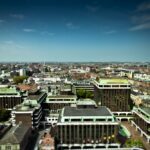 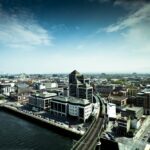 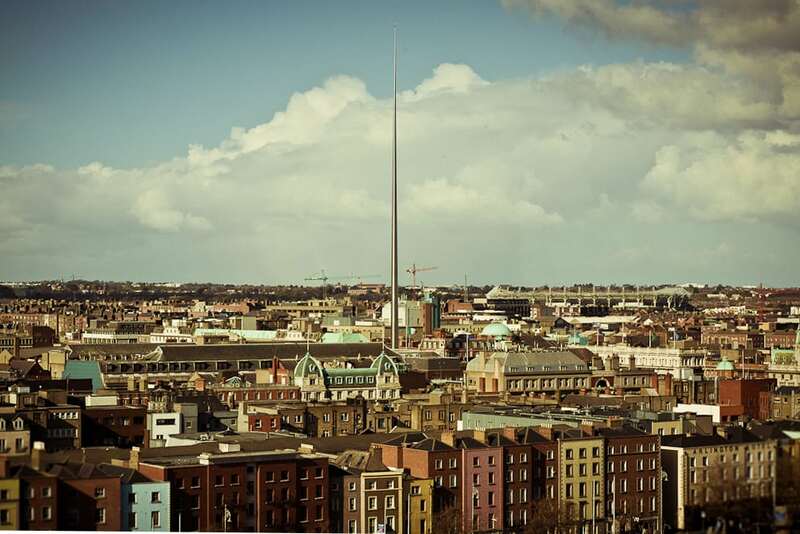 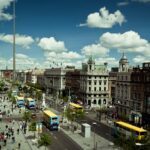 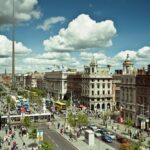 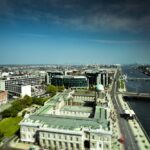 This is a selection of images of Dublin taken from on high. 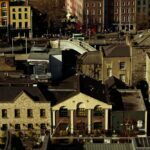 These were mostly taken around O’Connell Street and its environs. 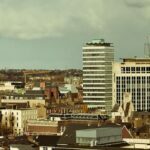 Some are out-takes from property commissions, created to highlight the the cultural heritage of the city centre, and some were shot while visiting or working on assignments. 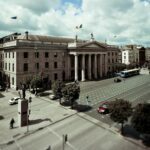 They were all shot on Canon equipment and processed with some colour enhancement in Lightroom. 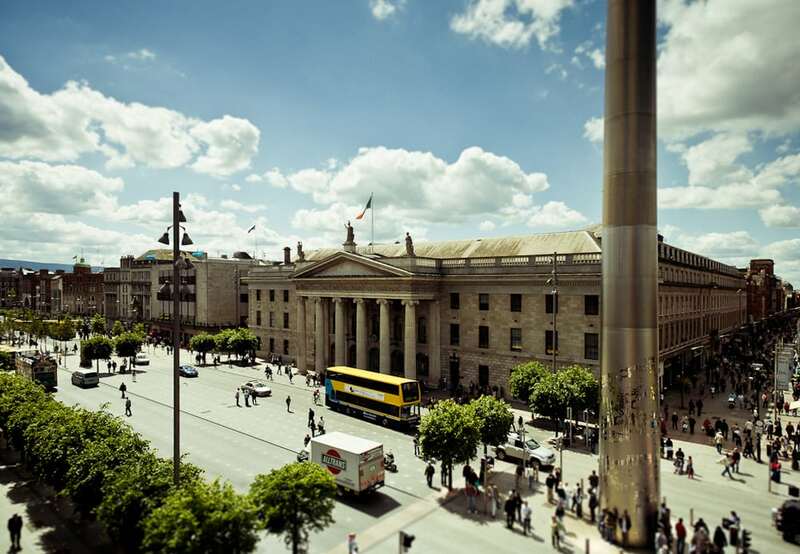 As always for shooting landscape and architectural work, I had to be ready to go when the weather became favourable. 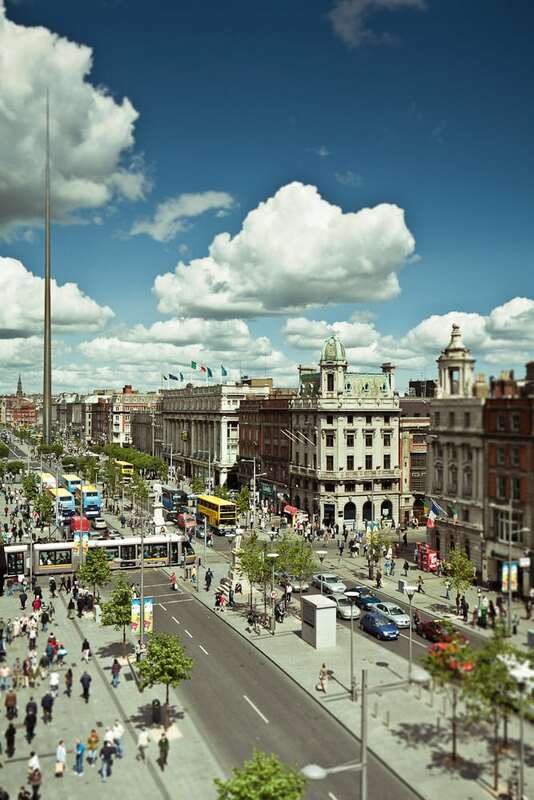 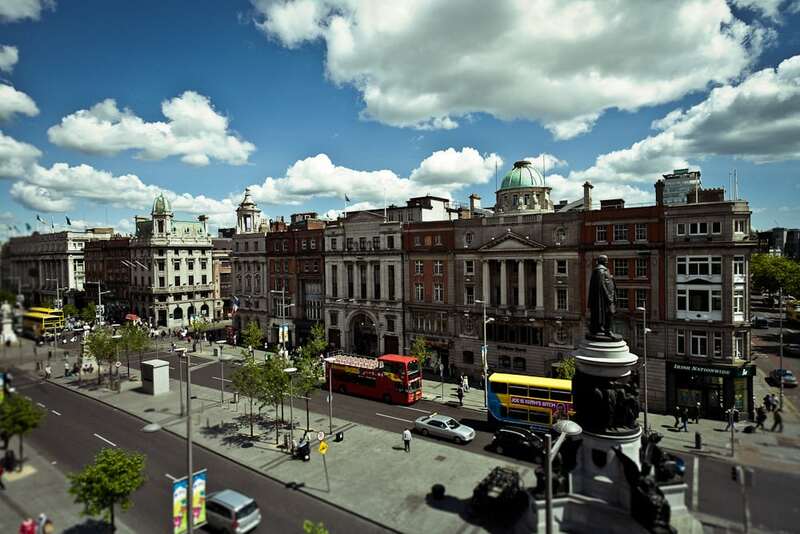 It is often said that Dublin has a rather jumbled skyline, but once you look up beyond street level, you can see that the much maligned O’Connell Street has an interesting patchwork of architectural styles that tell their own story and chart an important part of the city’s history. 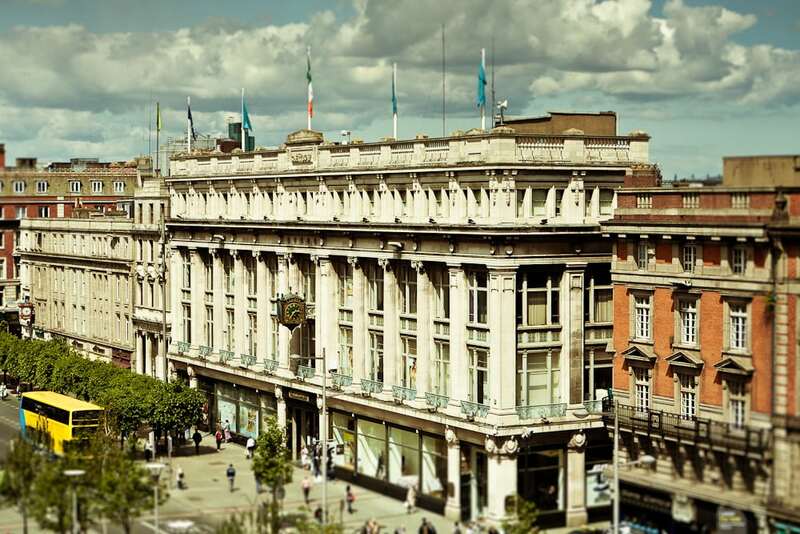 Clery’s department store gives the east side of the street a degree of elegance that is often overlooked. 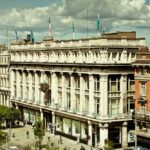 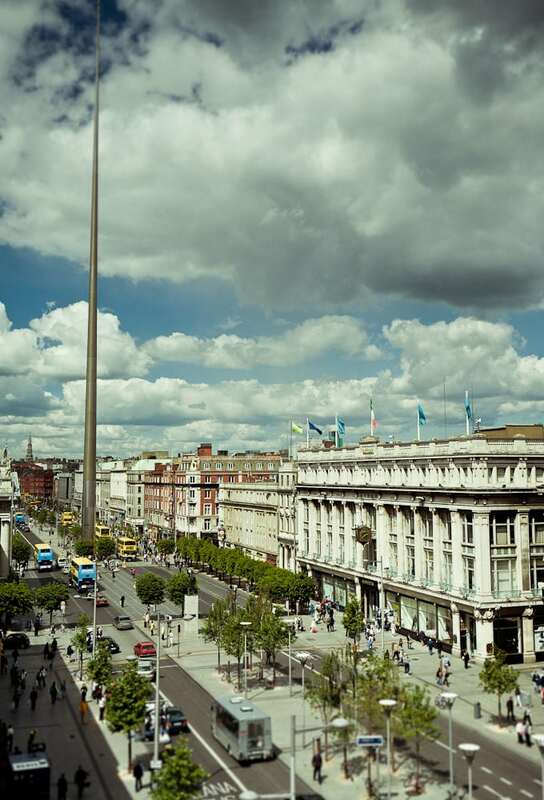 On the west side, the GPO which, in the middle of O’Connell street stands at the very heart of Dublin, and at the very heart of Irish history too. 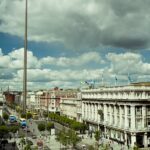 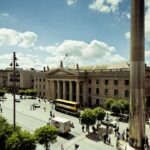 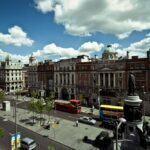 The Ionic portico and columns are a gathering point for demonstrations, protests and ceremonies, and form the backdrop to the nearest thing Dublin has to a plaza. 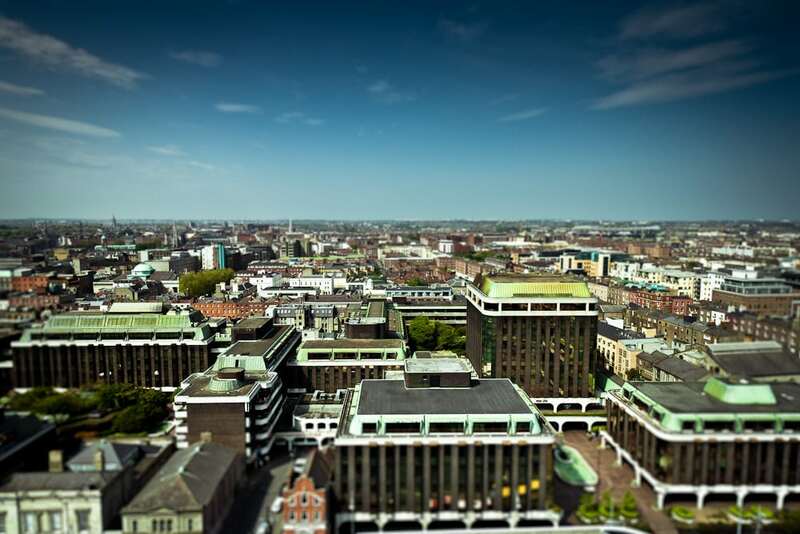 There’s a view from the top floor of the Central Bank on Dame Street, looking towards the north of the city with the old Irish Independent building, The Spire, and Croke Park visible. 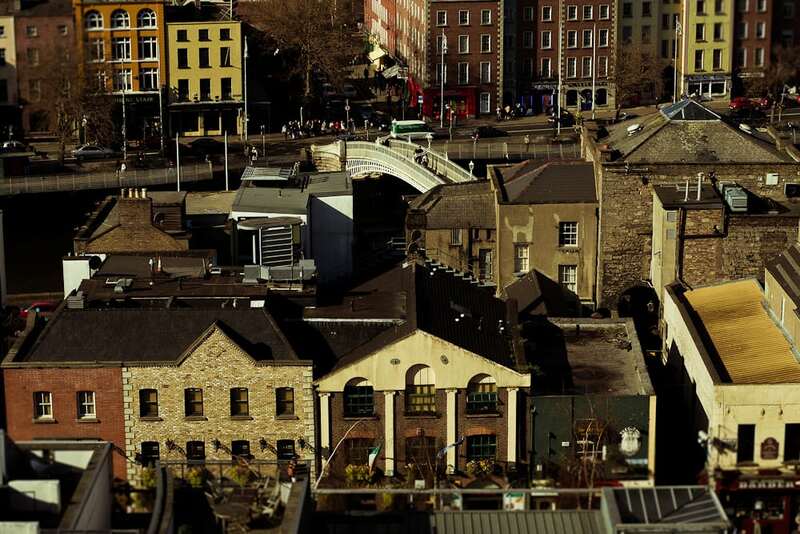 The H’apenny Bridge and some of the rooftops of Temple Bar can also be seen, along with a mix of some Dublin’s real and not so real Georgian patchwork styles. 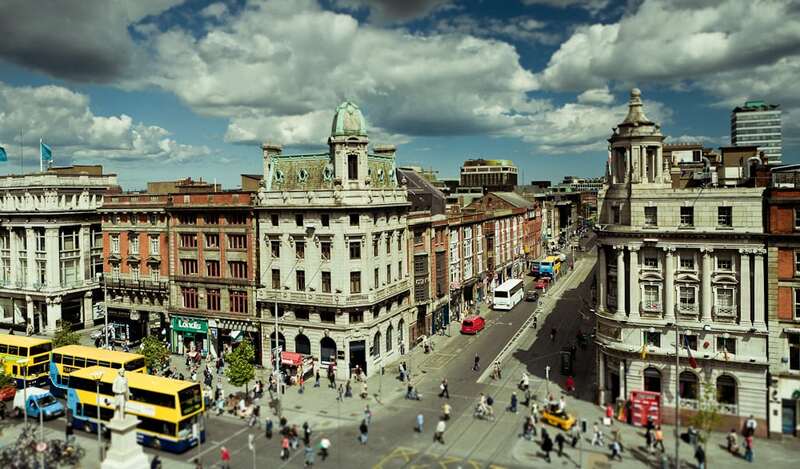 Strange to think that Temple Bar was due to be flattened to make room for a new bus in the 70’s. 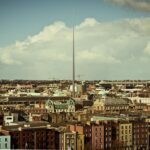 Two of Dublin’s love’em or loathe’em buildings make up a significant part of the skyline of the Northside, Busárus and Liberty Hall. 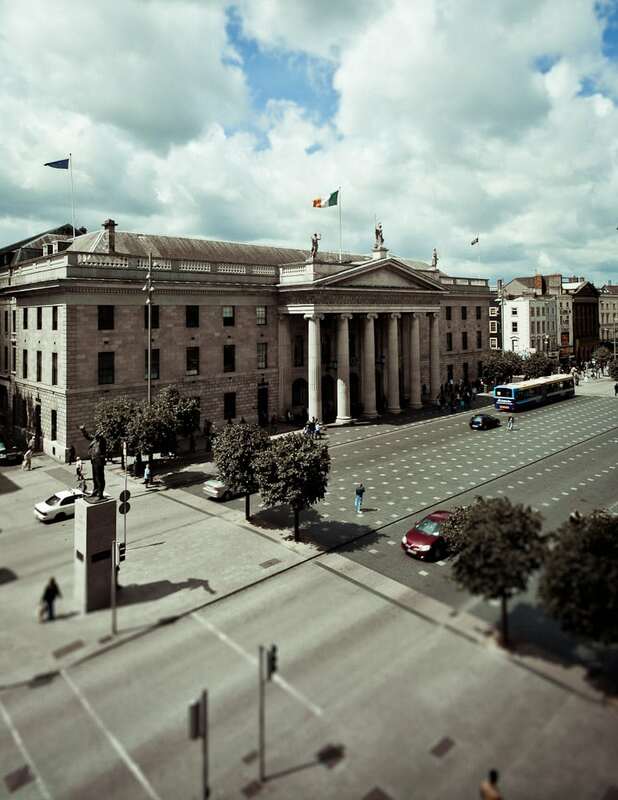 Looking eastwards, out to sea, you can clearly see the hotch-potch of neo-classical mixing with modernity as one grand scheme and time gives way to another. 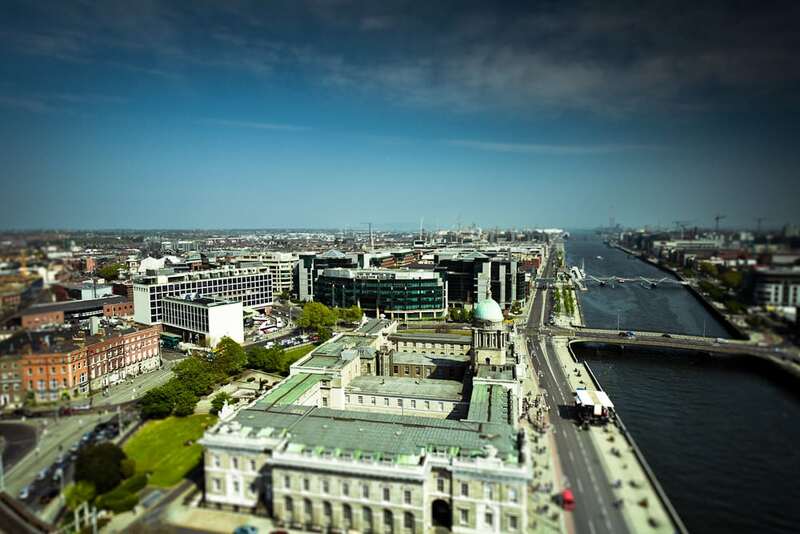 With Gandon’s Customs House and it’s mis-matched dome in the foreground, there’s a glimpse of Gardiner’s re-orientation of the city northwards. 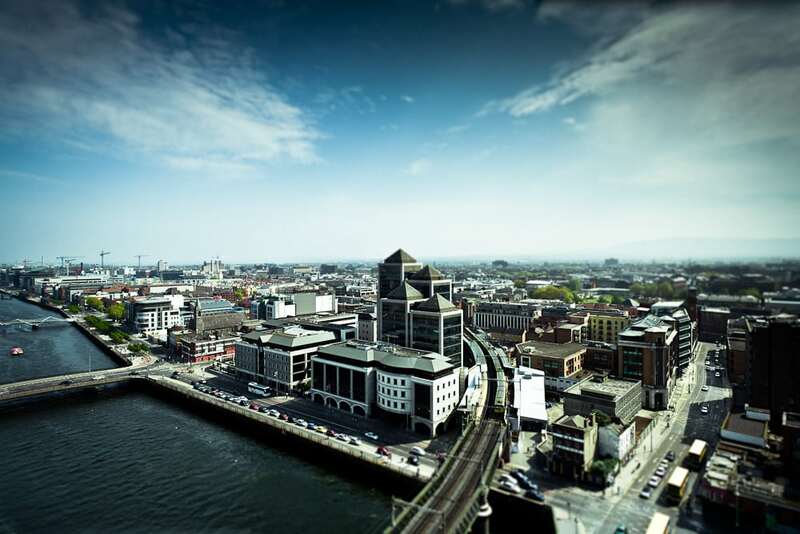 Beyond that you can see the Irish Financial Services Centre, the IFSC, and the twin chimneys at Poolbeg, another much-loved Dublin monument.